A Registered Agent, is a company or person, residing in the state where you are going to register a business, that has a physical address in the state and is open during business hours, and accepts legal service and notices from the Secretary of State on behalf of a Corporation or LLC. States require business entities to have registered agents or registered offices. When you file for a Corporation or LLC, part of the process requires you to appoint a Registered Agent (also called Resident Agent, Statutory Agent or Agent for Service of Process). The Registered Agent is an official contact for your company. States will send notices to the Registered Agent or the company owner. Well this was easy. We get to choose what to pay for. It's like sending yourself an invoice. 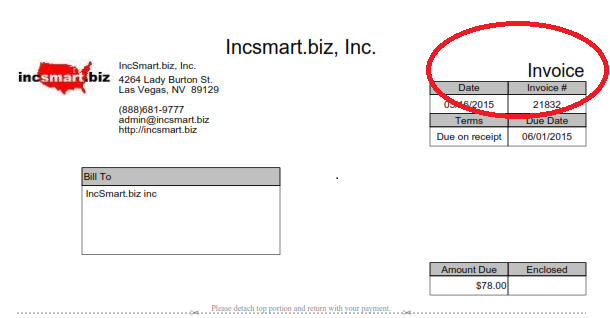 IncSmart has made it easy to pay for invoices. You can either use the Pay Invoice Page or sign on to your account to reorder a service and pay the invoices. Intuitive web page. Q: why cant i see my existing total bill. ? 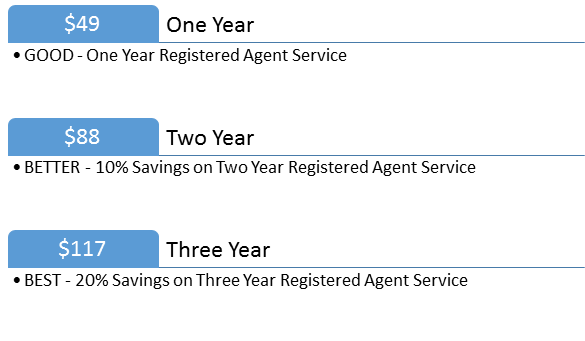 A: We give customers the option of choosing different discounts when renewing the Registered Agent service. 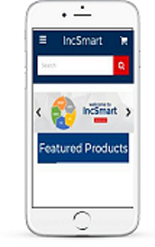 IncSmart has a sliding scale. 1 year = $49, 2 years = $88, and 3 years = $117. A: This invoice is for your Delaware Report and Franchise Fees. IncSmart Registered Agents will alert you in a timely manner about all documents and service of process received as your registered agent. 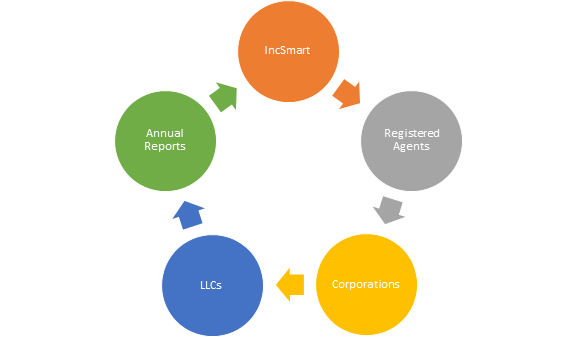 The state of requires LLCs and Corporations registered in the state to conduct business, have Registered Agent service or Registered Office service. The Registered Agent you appoint for your company, will receive legal service and government notices on your behalf. The Articles of Incorporation or Organization for both domestic and foreign entities, ask for the address of the registered office to receive service of process. The Service of Process is a notice of a summons or a lawsuit.